The new series of Temperzone ECO HWP’s with Themoshell® technology now offers contractors, consultants and developers a suitable cost competitive solution to expensive VRF and or chilled water projects while not compromising on efficiency, control, versatility or installation. 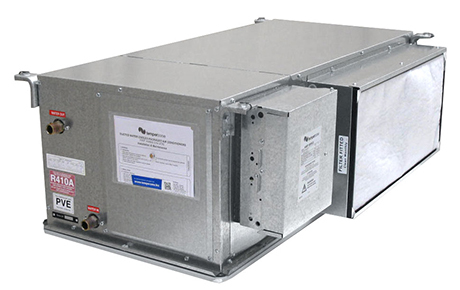 There are many applications where Temperzone ECO HWP systems give customers similar performance to VRF. The new series of Temperzone ECO HWP’s with Themoshell® technology now offers contractors, consultants and developers a suitable cost competitive solution to expensive VRF and or chilled water applications. In May 2016 Temperzone conducted an intensive two day chiller training program that combined participants from all over Australia, Mr Cesar Angues Solans from Hitachi Appliance Products Europe, plus the launch of a revolutionary new chiller simulator developed by Temperzone. When Eric Kendall first decided to build his own heat transfer coils back in 1956, he probably didn’t expect his humble venture to grow into an enduring Australasian success story. Today company has become a leading player in the commercial market and now exports to over 20 countries. OPA-ECO When Flexibility and Efficiency are the Key! Temperzone News spoke to Grant Richardson, General Manager of AC-TEC Services about a recently completed project where both the Efficiency and Flexibility of Temperzone's OPA-ECO solve a customers dilemma . ARBS 2016 proved to be yet another fantastic opportunity for the Temperzone sales team to get up close and personal with both potential and existing customers. The three-day event also enabled us to not only demonstrate some of our latest air conditioning innovations, but also to launch our exciting new suite of sales material. 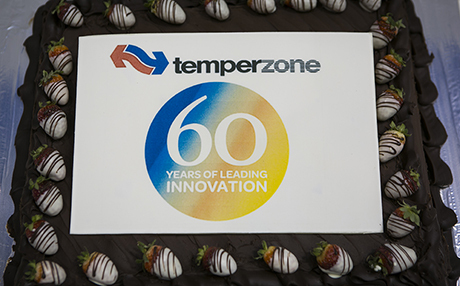 As part of their continuing commitment to innovation, Temperzone has spent the past six-months investing heavily in their Sydney manufacturing facility.